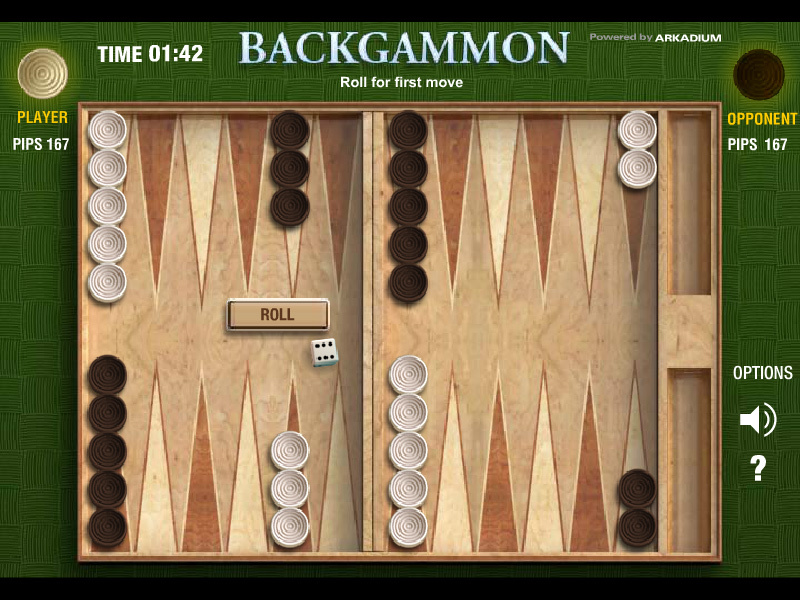 "Backgammon" is a free online logic game with a board, 15 black and white pools and 2 dice. Play Backgammon online against computer. Board game. Fun logic learning game. Carry all pools to your side to win. 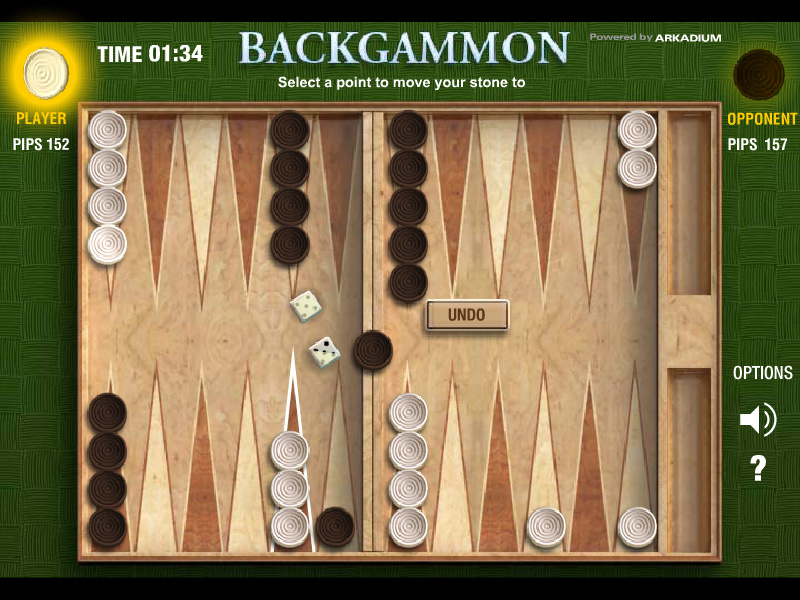 This is a classic backgammon game made by ARCADIUM. Detailed rules are described in the Class subjects section. Know how to win a Backgammon game. Backgammon is one of the oldest known board games. Its history can be traced back nearly 5,000 years to archeological discoveries in the Middle East, originally in Iran. It is a two player game where each player has fifteen pieces (checkers) which move between twenty-four triangles (points) according to the roll of two dice. The objective of the game is to be first to bear off, i.e. move all fifteen checkers off the board. Backgammon is a member of the tables family, one of the oldest classes of board games. Backgammon involves a combination of strategy and luck (from rolling dice). While the dice may determine the outcome of a single game, the better player will accumulate the better record over series of many games, somewhat like poker. With each roll of the dice, players must choose from numerous options for moving their checkers and anticipate possible counter-moves by the opponent. The optional use of a doubling cube allows players to raise the stakes during the game. Like chess, backgammon has been studied with great interest by computer scientists. Backgammon playing pieces may be termed checkers, draughts, pools, stones, men, counters, pawns, discs, pips, chips, or nips. The objective is for players to remove (bear off) all their checkers from the board before their opponent can do the same. In the most often-played variants the checkers are scattered at first; as the game progresses they may be blocked or hit by the opponent. As the playing time for each individual game is short, it is often played in matches where victory is awarded to the first player to reach a certain number of points. Labels: Board Games , Classic Games , Dice Games , Logic Games , Education Games , Free Online Games.